Last edited by ZackNJ on Thu Feb 11, 2010 4:56 am, edited 1 time in total. wow what an over passed obsession! i think your in LOVE! Take a look at my Growlist! manzano167 wrote: wow what an over passed obsession! i think your in LOVE! Its a hobby not an obsession. I plan on multiplying my Helis and sell/trade them in the future. aww so your going to open a helimphora shop? Wow man! I'm envious of your Heli collection. Congrats on amassing such an awesome collection in such a short amount of time. Matt wrote: Wow man! I'm envious of your Heli collection. Congrats on amassing such an awesome collection in such a short amount of time. Thanks Matt!! 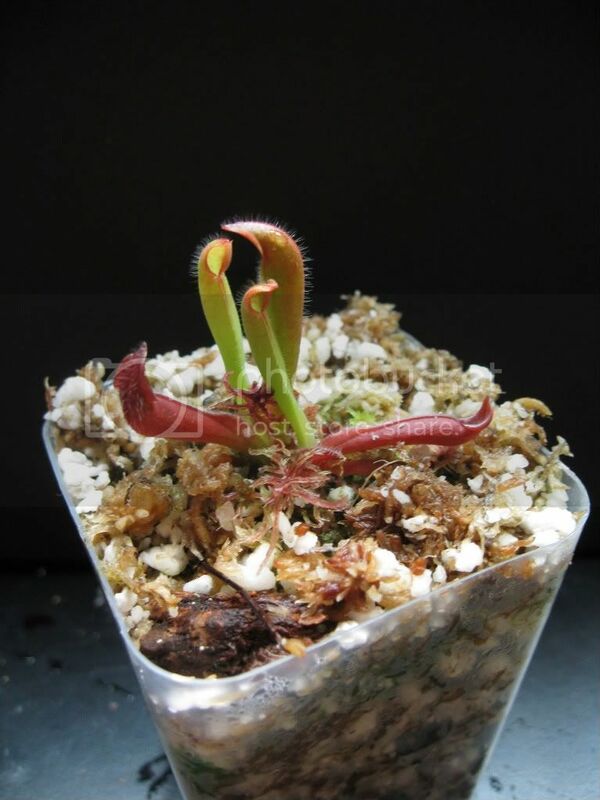 I am envious of your VFT collection!!!!!! manzano167 wrote: aww so your going to open a helimphora shop? Not a shop really. Just on the side. Maybe years from now I will open up a "shop". Its really more of a hobby for me. 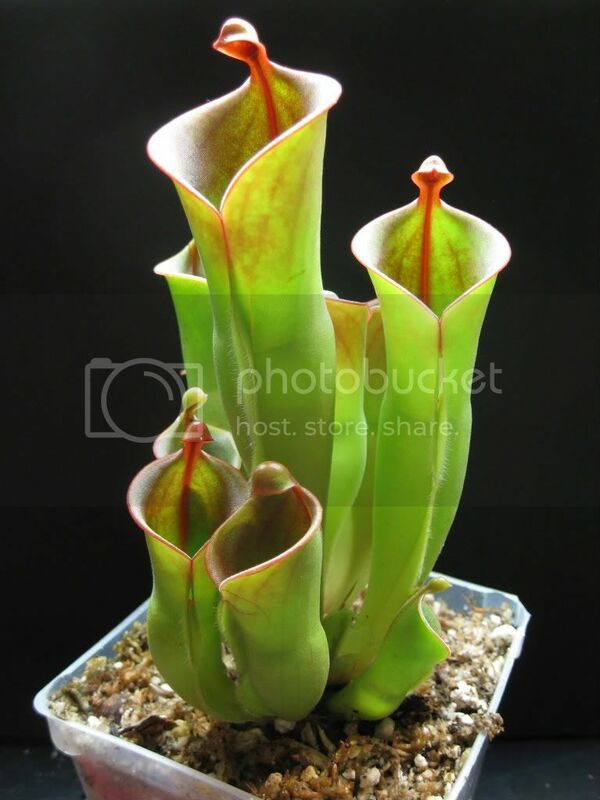 I am just fascinated by the Heliamphora's. Congrats Zack. Love the Hetrodoxa x Minor. How big is the new terrarium? Can you tell me or toss a link of how you care for your heli's (what your temps/humidity is, how you control temps/humidity, etc.)? Veronis wrote: Congrats Zack. Love the Hetrodoxa x Minor. How big is the new terrarium? I have a 1/4 inch thick glass on top of the tank(which I had cut at a glass shop) I have a computer fan in the tank which is on a timer. The fan goes on/off every hour. I have a 4- T5 Fl. light system which I have raised above the tank. I used cable ties and attached them to the rack above the tank. I have a fogger which i don't think is necessary and I may not use one for my new tank. The temp. during the day is 75-83 degrees F and at night the temp is about 58-65 degrees F. The humidity is 80-90% most of the time. when the fan turns on the humidity goes down for a little while. At night I put ice packs on top of the tank. I try and do that every night but sometimes I don't. I also use an aquarium air pump. My new tank is 36'' Long, 18'' Wide, and 25'' High. I am going to put all my big Helis in there. The smaller Helis are going to stay in the smaller tank for now. Last edited by ZackNJ on Tue Feb 09, 2010 8:35 am, edited 1 time in total. AGH! I'm so envious of your H. Hetrodoxa x minor!!! 95slvrZ28 wrote: AGH! I'm so envious of your H. Hetrodoxa x minor!!! Last edited by ZackNJ on Thu Feb 11, 2010 10:29 am, edited 1 time in total. Jiu Jitsu is a way of life. Are your plants in pots or planted directly in to the tank? What kind of cover do you have on the tank? The air pump that I have in there helps keep the humidity high. You can buy one at Walmart. Im sorry. Maybe I shouldn't post anymore updates so that I don't make people sad/pissed off. The problem with that is we all like seeing th plants too much! You've got a great collection!